This edition features articles addressing influential trends impacting the commercial real estate industry and beyond. Some of the topics featured include driverless cars and their effecton occupiers, the retail technology revolution and how newCommerce will be a differentiator, and the use of mobile robots as security. We also touch upon major world-wide news such as China’s Belt & Road initiative and the impact it will have on global trade, and we take a deep dive of the TAMI Industry. 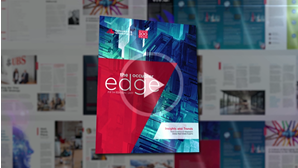 A groundbreaking augmented reality tool – Occupier Edge 3D – is here and available for download. The groundbreaking VR/AR tool transforms The Occupier Edge’s pages into a rich digital experience. You can Download the issue now by clicking here.